Coleman Court is a 79-unit, affordable housing community in the "Old Towne" area of the city of Torrance, CA for people 62 and over. The property is currently accepting applications for the waiting list. This property accepts Housing Choice (Section 8) and VASH vouchers. Each unit has a private patio, heating and air conditioning units, a range and a refrigerator. The property features a spacious community room with a full kitchen, a pool table, laundry facility, outdoor barbecue areas, and a garden. Regularly scheduled activities include coffee socials, bingo, monthly birthday parties and more. 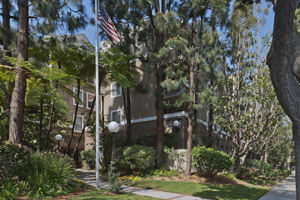 Coleman Court is centrally located to shopping, restaurants and a senior community center.